Presents, souvenirs, desired things and basic necessities make us visit various stores and shopping malls, as we want to satisfy our needs and do something nice for our relatives and friends. In this age of information and communication technologies, most people can't go shopping without assistance of modern technological devices, such as tablets, smartphones and desktops. As for the last several years, a number of online customers has increased drastically, plenty of businessmen also try to launch online stores and establish branch offices of their companies in Internet. Being an online business owner, you will be able to earn much more money, get high popularity and even interact with thousands of buyers from all over the world. However, if you want to reach these goals and become a successful online businessman, so you will have to be ready to compete against a large number of different web business companies and corporations. As a rule, not all online vendors and entrepreneurs are able to create strong business brands and participate in competitive races within the ecommerce marketplace during a long period of time. Knowing these facts, some web businessmen combine their financial assets and efforts with other merchants to create online multiple marketplaces. Such web business projects have already helped plenty of online businessmen not only get desired revenues and stand in cruel conditions of high competition, but also start their business careers and get valuable knowledge in marketing and management fields. Frequently, online multiple marketplaces are organized by mature vendors, who are ready to risk and solve the most difficult problems. For example, a marketplace owner will have to interact with hundreds of independent merchants, provide online clients with excellent customer experience, develop all multiple marketplace web store departments and control all marketplace processes and events. Nevertheless, implementing these tasks and managing their online malls, web business owners get a unique opportunity to attract and retain lucrative customer segments, find influential business partners and even become authoritative experts in certain business fields with time. Moreover, marketplace owners are able to collect fees from marketplace vendors for the right to perform transactions and trade operations. To achieve such successful business results, you will have to work out an effective business plan, determine your company's goals and improve your web store features. So, if you still intend to open new business opportunities for yourself, I will try to reveal main aspects, which you should consider before starting your own ecommerce mall. Plenty of people think that business projects provide their owners only with impressive profits and high popularity. In fact, entrepreneurs usually have to work hard from early days to late nights, offer useful product to customers and especially possess significant funds, if they want to make their business dreams come true. This is rather clear, as business owners must always promote their brand names, implement research works and strengthen their business positions, what requires much money from them. Very often, when businessmen find out that they have spent all their financial resources, they have to apply for bank loans to continue their business activities or file for bankruptcy. The same concerns to online businessmen, who also have to spend their funds on organizing advertising and promotion campaigns, hiring website developers and resorting to SEO agencies' services. Talking about web mall owners, I have to mention that their costs are much higher than expenditures of simple online vendors, as they serve more online clients, hire more website managers and marketers, as well as require more powerful ecommerce software. Therefore, launching an online multiple marketplace, you should carefully calculate your budget and your future expenses. Otherwise, you risk to spoil your business reputation and stop your online business activity for a long period of time. The business environment is the area of grand business opportunities and challenges, as entrepreneurs can earn much money, cooperate with well-known business brands or lose all to the last cent at the same time. Therefore, some businessmen and vendors are able to reach their financial goals and create a strong base of return clients, while others always fail and forget about their business careers forever. To avoid these unsuccessful business practices and unpleasant costs, merchants must possess not only high funds and useful business connections, but also impress customer segments with effective business ideas and get valuable knowledge and skills in management and marketing fields. Choosing a career of an online multiple marketplace owner, you should also follow points, which I have mentioned above. This is very important, as you will have to manage and update large web business projects, where plenty of different shoppers will search required products and independent vendors will accomplish their trade operations via their individual web store departments. Moreover, you will have to train your attention, accounting and negotiation skills, as you will have to listen to online customers and solve their problems, distribute funds between your marketplace vendors and interact with various business partners. Currently, all online vendors must possess constantly functioning web stores, if they want to attract online customers and save their web business projects from collapse. To reach these results, ecommerce merchants have to find and equip their web stores with powerful and reliable web shopping carts. 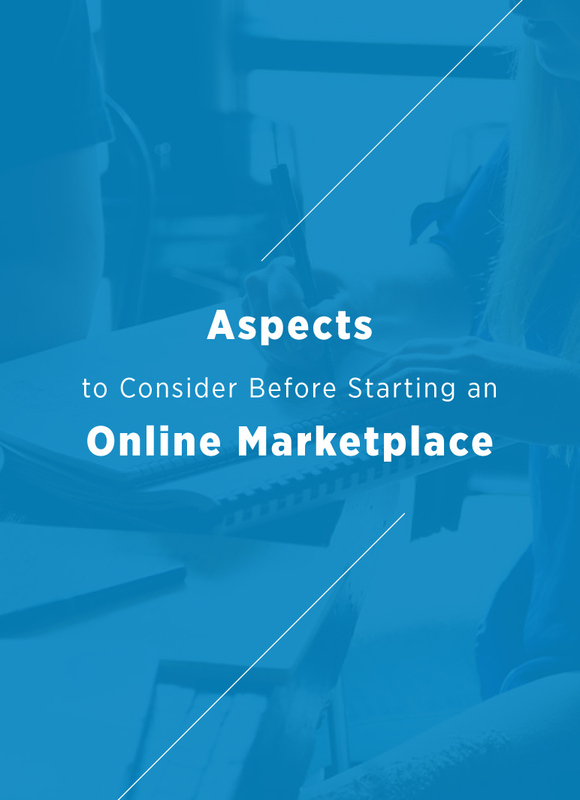 In most cases, launching their web business startups, online entrepreneurs aspire only to get significant profits as fast as possible, so they buy ecommerce platforms without paying attention to their features. Such an approach can cost them future revenues and push away all their prospects, as nobody wants to face with low performance and slow loading website pages during their shopping procedures. Online multiple marketplaces are very noticeable ecommerce projects, which attract thousands of all possible buyers. Visiting these web shopping malls, any person can find and order required products in a few clicks. So, if you have decided to become a marketplace owner, you can also get all chances that your ecommerce mall will be visited by plenty of online customers. In this situation, you will have to do all your best to provide your marketplace with high-speed and multifunctional ecommerce software, which will be able to handle with high website loads and downtimes without problems. When online businessmen start implementing their selling operations and transactions, they try to build strong relationships with their target customer audiences. Hoping to gain customers' loyalty, ecommerce vendors may organize promotional campaigns, create persuasive advertisements and even resort to email marketing techniques. Notwithstanding these facts, only a small number of online businessmen can find a common language with online clients. As for other vendors, they usually lose their buyers, as they simply forget that their main aim is to satisfy online customers' needs and preferences. Do you wonder how to interest shoppers in visiting your online multiple marketplace and influence on their final decision? I advise you to equip your web shopping mall with useful ecommerce tools, such as smart product filters, easy one-page checkout forms, advanced shipping methods and popular online payment gateways. In the other words, the smoother and faster shopping you will provide your clients with, the more chances that they will bookmark your ecommerce website and tell their friends about it you will get. In modern conditions, it's rather important not only to offer high-quality production to online customers, but also provide them with useful advice. Plenty of online businessmen use online chats, help desk ticket systems and simple email forms for interacting with their buyers and accepting their complaints. However, besides of providing your customers with different feedback channels, you should also possess a well-educated support team, which will be able to meet your customers' requirements and solve their most difficult problems. As for web mall owners, they will have to hire a larger number of support managers, compared to traditional ecommerce merchants. This is rather obvious, as a small support team will never be able to handle with all customers' queries in a timely manner. 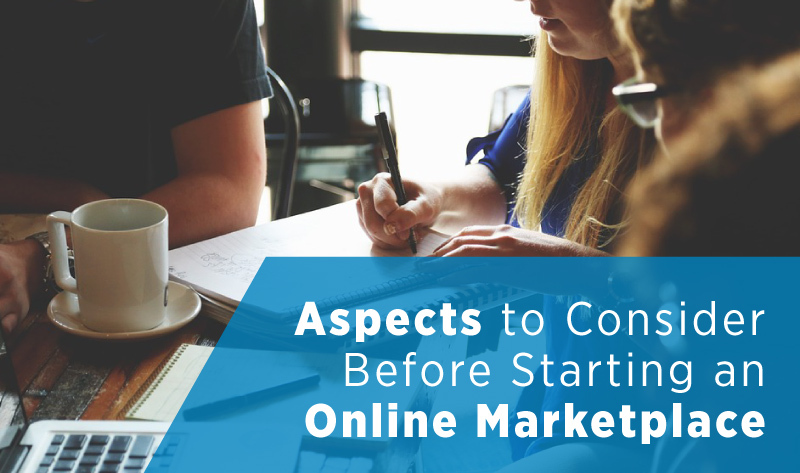 Do you know some other aspects, which online businessmen should consider before starting their online multiple marketplaces? I am waiting to see your valuable ideas in comments below!